The St. Louis Cardinals and Miles Mikolas may work on a new contract for the right-hander and the rivalry with the Cubs was stoked over weekend. 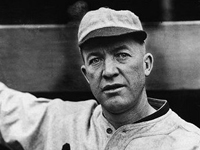 In our weekly history feature, short but memorable stint of Hall of Famer Grover Cleveland Alexander with the Cardinals is remembered. 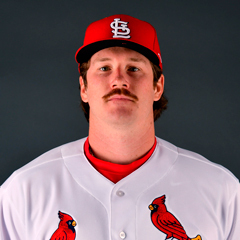 St. Louis Cardinals pitcher Miles Mikolas told the media on Sunday that he was open to discussing an extension with the team. The right hander is in the final year of a two-year contract he signed with the Cardinals when returning to the major leagues following a three year stint pitching in Japan. Mikolas stated that he was willing to discuss a possible extension with the team at any time so did not preclude discussions during the regular season. Mikolas indicated he was a pretty easygoing guy and would not be distracted by any contract negotiations during the season. The hurler added that the fact that the Cardinals held Spring Training in his hometown of Jupiter made the situation with the Cardinals ideal. Mikolas was a first time All Star in 2018 and finished sixth in the NL Cy Young Award voting. Mikolas posted a record of 18-4 with an ERA of 2.83. The right hander did not lose a game on the road in 2018. In addition to Mikolas, fellow rotation members Michael Wacha and Adam Wainwright will be free agents at the end of 2019. It is uncertain how long Wainwright will continue to pitch and is set on going year-to-year with the Cardinals. No negotiations with Wacha appear to be on the horizon and it is likely Wacha will test the free agent market after this season is finished. The Cardinals see Mikolas as a possible veteran anchor to a young rotation going forward. While the NL Central rivals Cardinals and Cubs were both hosting fan events over the weekend, a Cub regular and a former Cub decided to take a jab at their rival city. Dempster responded with similar comments about how he never wanted to be traded to St. Louis or sign as a free agent with the Cardinals. A video of this interchange made it to the internet, as one would expect. Meanwhile, the Cardinals were holding a similar fan event, the Winter Warm-Up, in St. Louis. 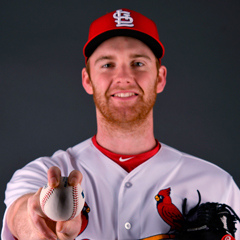 Reliever John Brebbia was asked about the comments while on a Cardinals Caravan stop in Peoria, IL. Brebbia replied playfully to Bryant’s comments, “Cry me a river, loser”. Molina’s teammates supported Molina, as did his manager Mike Shildt, when asked about it at the Winter Warm-Up. Bryant may have made the comments in jest, but they weren’t found to be all that amusing to Molina or anyone else on the St. Louis side of the rivalry. The Cardinals meet the Cubs for the first of 19 times in the regular season on May 3 at Wrigley Field. The first home game against the Cubs is on May 31. How will St. Louis fans greet Bryant? Stay tuned. Five new managers for minor league affiliates were announced by the Cardinals on Friday. Only one addition was from outside the organization while the other four were internal promotions. 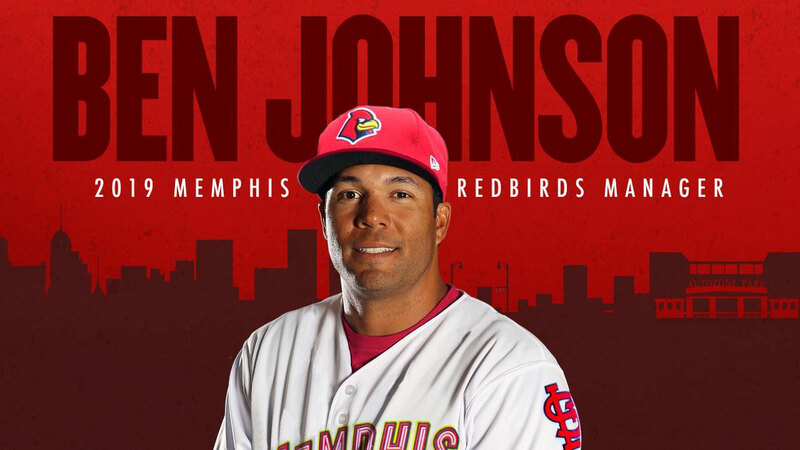 The Cardinals hired Memphis native Ben Johnson to lead the Triple-A affiliate Memphis Redbirds this season. Johnson was formerly a coach with the Durham Bulls, the Triple-A affiliate of the Tampa Bay Rays. Johnson replaces Stubby Clapp, who was promoted to the major league coaching staff for 2019. Joe Kruzel was promoted to manage Double-A Springfield, Erick Almonte will lead Class-A Peoria, Jose Leon was promoted to short season-A State College, and finally, Joshua Lopez was chosen to manage the Rookie Gulf Coast League Cards. Dann Bilardello will return to manage Class-A Advanced Palm Beach, Roberto Espinoza remains with Rookie League Johnson City, and Fray Peniche and John Matos are back with the Dominican Summer League Blue and Red teams, respectively. 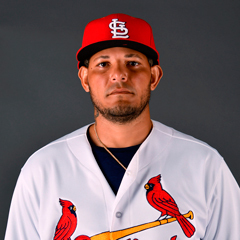 Former Cardinals backup catcher Tony Cruz has been hired as a major league catching instructor. Chris Swauger, who formerly managed at Johnson City and Peoria, has been promoted to assistant field coordinator. Johnny Rodriguez, former Springfield manager, was shifted to minor league infield instructor. Jose Qquendo was previously announced as moving from major league third base coach to minor league roving instructor at his own request. MLB Cardinals reporter Jenifer Langosch reports that President of Baseball Operations John Mozeliak has stated that the Cardinals are confident in their current roster and no additional moves to add or subtract from the full 40 man roster are in the works or are contemplated at this time. Derrick Goold of the Post-Dispatch reports from a Saturday chat with John Mozeliak as part of the Winter Warm-Up, that the health of two Cardinals remains uncertain. Mozeliak stated that he will be taking a trip to the Dominican Republic, and while there, will check on the status of outfielder Marcell Ozuna. 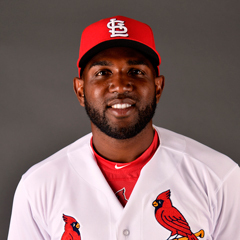 Ozuna chose to rehab from his shoulder surgery in the DR rather than at the Cardinals’ facility in Jupiter, FL, a circumstance Mozeliak stated was “not ideal”. The Cardinals have been made aware that Ozuna has not yet begun a throwing program and Mozeliak could not be sure he has begun hitting. The outfielder maintains he will be ready for Spring Training, which begins in less than a month. 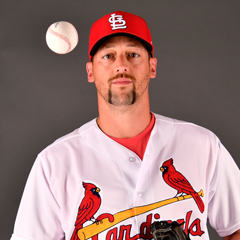 Mozeliak also said that pitcher Luke Gregerson has told him he has “not felt right” during his winter throwing program. Mozeliak expects Gregerson to be limited in Spring Training as the team attempts to ascertain whether the right-hander is healthy enough to contribute. 40-man roster outfielder Justin Williams showed up at Winter Warm-Up with a cast on his right hand, the result of a mid-December “mistake” – a battle with a television that the TV won. The result is fractures/dislocation in metacarpal bones in his fingers. Williams, who was likely to return to the Memphis outfield, is not expected to be ready to open the season. Though Rick Ankiel remains a free agent, the Cardinals had interest in re-signing the 39-year old to a minor league contract in his comeback as a left-handed pitcher. This was interrupted by October elbow ligament repair (not replacement) surgery. Ankiel told Rob Rains of StlSportsPage.com that he expects to be cleared to throw soon and could be ready for action as soon as June. The final day of the Cardinals annual Winter Warm-Up will be held on Monday from 9 a.m. to 3 p.m. On the schedule to sit for autographs on Monday are Matt Carpenter, Yadier Molina, and Harrison Bader, among others. Complete coverage of the first two days of the Warm-Up can be found at TCN here and here. There appears to be no further roster changes on the horizon for the Cardinals. President of Baseball Operations John Mozeliak said this weekend that he is satisfied with the roster as it is currently constructed and anticipates no additional moves may be made. Pitchers and catchers report to Spring Training on February 12. The first workout for pitchers and catchers is the next day, February 13. Position players report on February 17 and the first workout is then next day, February 18. The first spring training game is February 23 against the Marlins at Roger Dean Stadium. The Spring Training Schedule can be found here. The annual inductees into the National Baseball Hall of Fame are set to be announced by Major League Baseball on Tuesday, January 22. As a tribute to that esteemed annual event, the history segments for the next several weeks will celebrate those former Cardinals who have been honored as members in Cooperstown over the years. The first members were chosen in 1936, though the physical museum did not open until 1939. 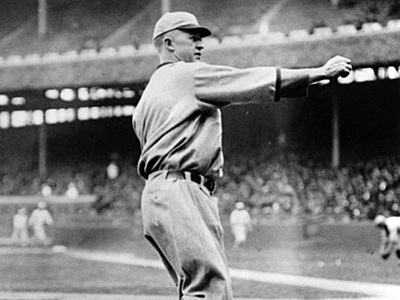 The first former Cardinals to be inducted were John McGraw and Cy Young, who were inducted in 1937. McGraw was inducted as a manager. Those two will be remembered in later segments, but this week’s Blast from the Past remembers Grover Cleveland Alexander, who was voted in by the BBWAA in 1938 with 212 votes out of 262 ballots. Alexander was born in Elba, Nebraska on February 26, 1887. Alexander was named after the US President at the time of his birth, Grover Cleveland, and he was one of 13 children. Alexander signed his first professional baseball contract at the age of 20 for $50 a month. He was a pitcher and played for the Galesburg Boosters and the Syracuse Stars before being sold to the Philadelphia Phillies in 1911. He was paid $750 a month. Alexander played for the Phillies from 1911-1917. He also went by the nickname Pete, or “Ole Pete”. In 1917 the Phillies traded Alexander to the Chicago Cubs. Alexander was drafted in World War I and spent most of the 1918 season in France. While serving Alexander was exposed to mustard gas, and a nearby exploding shell caused hearing loss. Alexander returned from the war with what was called shell shock, now referred to as Post Traumatic Stress Disorder. He also suffered from epilepsy. As a result of his trauma from the war, Alexander began drinking heavily, and his drinking problems plagued him until his death. Nevertheless, in spite of his drinking, Alexander pitched successfully for the Cubs from 1918- 1926. The drinking eventually took its toll, however, resulting in the Cubs selling him to the Cardinals in the middle of the 1926 season. The Cardinals won the National League pennant in 1926, then faced the New York Yankees in the World Series. Alexander pitched Games 2 and 6, winning both. After the win in Game 6, Alexander drank heavily that night. Though he did not start Game 7 the next day, Alexander was called upon to enter in the seventh inning after Jesse Haines developed a blister. The Cardinals were winning 3-2 and Alexander managed to hold off the Yankees for two innings to preserve the win and give the Cardinals the World Series victory. The final out was made when Babe Ruth was caught stealing second base. Alexander had one 20-win season for the Cardinals, in 1927. The drinking continued, and he was traded to the Phillies in December 1929. Alexander played in nine games for the Phillies before leaving major league baseball for good. In his four seasons with the Cardinals, Alexander posted a record of 55-34 with an ERA of 3.08. At the time of his induction to the HOF, players did not have insignias on their caps indicating what team they represented. Given that Alexander played more years with the Phillies and the Cubs and had his best seasons with those teams, he likely would not have entered the hall as a Cardinal. Alexander died on November 4, 1950, at the age of 63, less than a month after attending Game 3 of the World Series, in which his former Phillies lost to the Yankees.